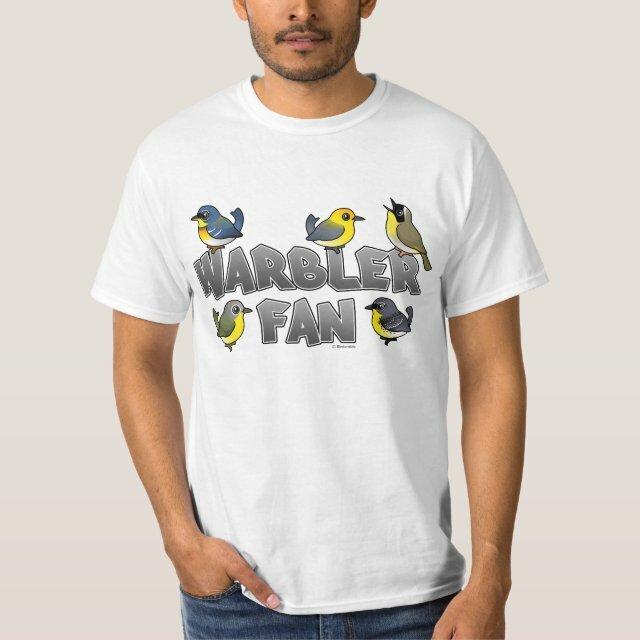 This design features five of our cute Birdorable warblers together with the words "Warbler Fan." The warblers are: Northern Parula; Prothonotary Warbler; Common Yellowthroat; Kirtland’s Warbler; and Nashville Warbler. This great design was made for warbler lovers! You can totally customize this gift! Move the design around, change the color or style, add your own text or images -- make it your own!